Tinder-dry conditions this spring might have residents of southwestern Saskatchewan a little more on edge than usual. 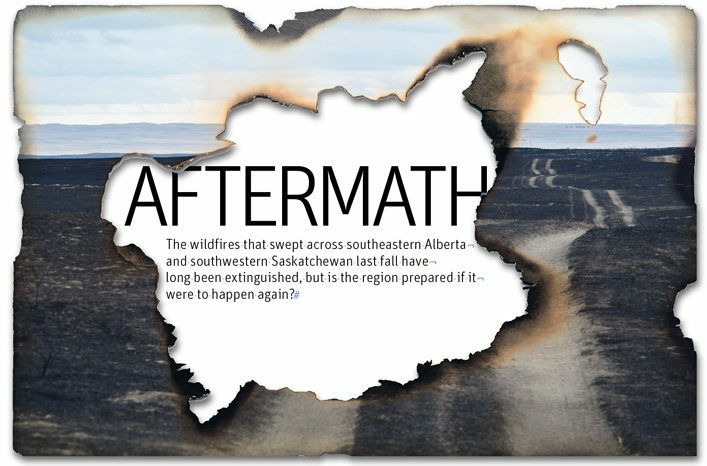 It’s been seven months since the Oct. 17 wildfires that the province’s fire commissioner has described as catastrophic. The area is typically dry, but after a summer with below normal rainfall, it was drier than usual. That evening, winds gusting more than 140 km-h caused chaos in Alberta and Saskatchewan. Dozens of fires, many caused by downed power lines, broke out and raged in the wind. Communities were evacuated and hundreds of people flocked to help. And when it was over one person was dead, others were injured, hundreds of livestock were killed and thousands of acres were burned. Now, after a winter of little snowfall and as yet no major spring rains, fire remains a real threat throughout the province. Already, grassfires have destroyed homes and other property in areas around Regina and Saskatoon. 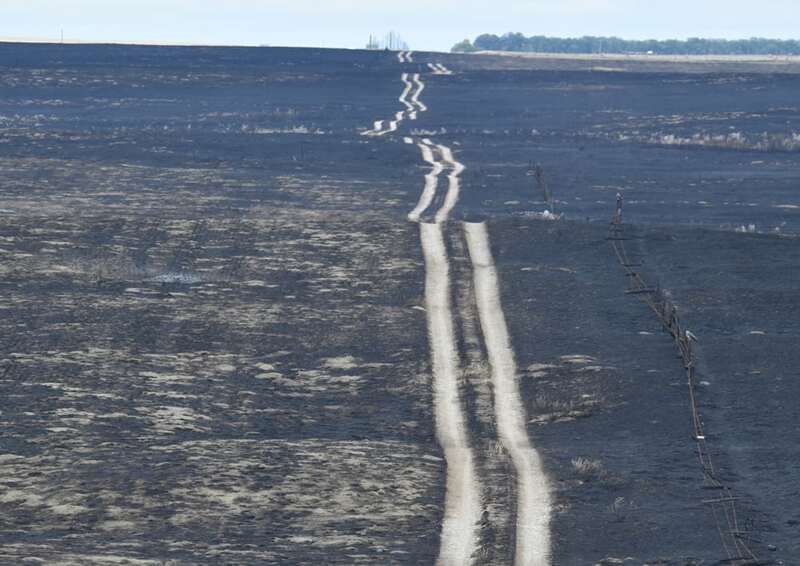 Duane McKay, Saskatchewan’s fire commissioner and head of emergency management, said his department has spent the months since last fall helping rural communities, particularly those affected, prepare so they aren’t in that situation again. He said last fall’s situation was unique and provided some valuable lessons. “Things went wrong and they went wrong very quickly, and there was virtually no time to get that operational rhythm,” he said. That’s because numerous fire departments and farmers with equipment went out to fight fires without a single command structure. No one knew which fire department was where and who was doing what. Some departments were called, while others self-deployed. Some were from Alberta and others from Saskatchewan. 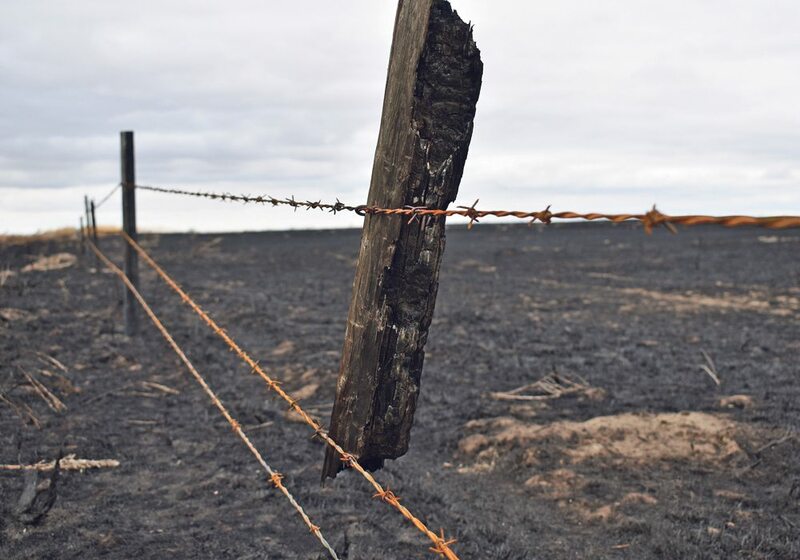 It led to confusion and co-ordination issues, Ray Unrau, deputy commissioner and director of operations for emergency management and fire safety, said during a presentation to the Saskatchewan Stock Growers Association mid-term meeting earlier this year. 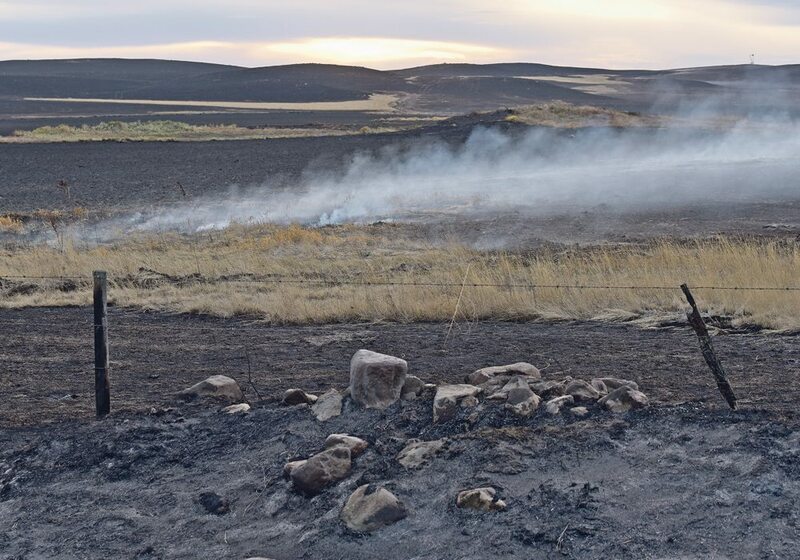 “It’s difficult for one or more fire chiefs to be able to manage a large or geographically dispersed fire when everyone’s responding from different directions,” he said. Unrau said that isn’t a criticism of responders because the event escalated so quickly that there just wasn’t time to organize, but it does prove the case for preparedness and training. Provincial staff have met with several of the fire departments in the areas most affected and provided courses in incident command training, how to use the provincial radios and radio system, wild land firefighter training and basic emergency management training for communities. Burstall, Sask., fire chief and farmer Russell Job said the rural municipality and town paid for some courses for firefighters and farmers. He said the move to continuous cropping is one reason fires can travel more quickly and farther. Now, with vegetation always available and the driest fall on record in many places, fires like the one last fall can take hold. Job said help from farmers is critical when that happens. “We’d have never got the fire out if they didn’t help,” he said. Bentley Gibson, chief in Gull Lake, Sask., agreed. He said training does need to include farmers and departments together, and more communities need to recognize the value of emergency plans and proper equipment. In 2010, Gull Lake and three RMs paid $410,000 for a new fire truck. “It was somewhat a tough sell,” Gibson said. McKay said training and planning would ideally move to a regional response level. “It would always work better if there was a regional planning area that would sit down and say, ‘what are our risks and what do we need to do to ensure that these things are practised,’ ” he said. Bill Huber, a director with the Saskatchewan Association of Rural Municipalities and an SSGA vice-president, said it can be an uphill battle trying to drive home the need for preparation and planning in rural areas. There were seven fires in his RM near Lipton, Sask., the night of Oct. 17. The RM contributes money to local fire trucks but doesn’t own its own, even though in the last 13 years there was one fire in the village of Lipton and 113 in the RM. “Our council is under the belief that it will never happen to us,” he said. Huber said SARM has been encouraging municipalities to prepare by compiling a list of ratepayers who have equipment such as water trailers, tandem disks or graders. “The response is just pathetic,” Huber said. Unrau also said the event highlighted the need for communities to have emergency plans beyond just fire protection. Fire departments are built for emergencies, he said, but it’s up to communities to have emergency plans in place to deal with disasters beyond the fire departments’ capability. The fire chief looks at tactics to fight a fire, added McKay, while an emergency co-ordinator and elected officials look at the big picture to deal with displaced people or those with specific needs. Officials and the fire chiefs all pointed to communication as an issue that needs to be addressed. 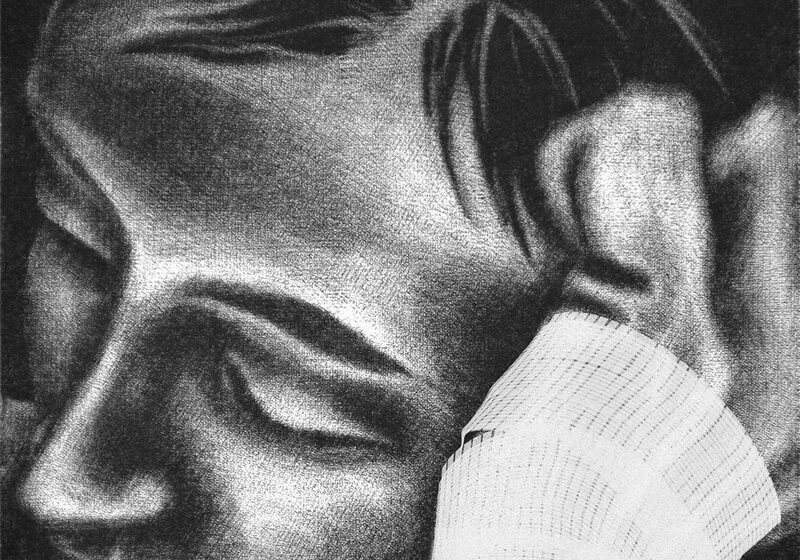 Cellphones didn’t work that night because the system was overloaded, making two-way radios vital. “Within our operations centre we have land lines because land lines don’t have coverage issues, capacity issues,” McKay said. He said individuals have to assess their own comfort level when it comes to giving up their land lines, knowing that cellphone capacity and coverage are issues. “That’s a personal decision,” he said. McKay added that all emergency responders including police, fire and ambulance should be using the provincial public safety telecommunications network, which is a radio system established in 2010. Provincial officials also encourage residents to download the SaskAlert app on their smartphones. National wireless alerts tested earlier in May will push notifications of emergencies to radio, television, text messages and the app and its website. 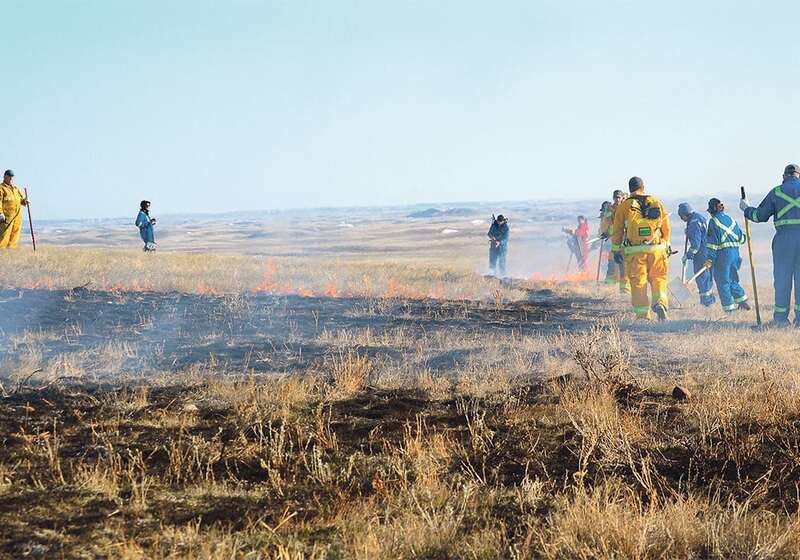 Dry conditions conducive to fire are already apparent in parts of the Prairies this spring, and last year’s devastating fires remain fresh in memories. What will you do in case of fire on or approaching your property? Is there forest or bush near your property? Dry grassland? Is it practical to evacuate animals if needed? Do you watch for high fire risk conditions? What will you do if a fire threatens? Shelter in place and soak down the area to create a firebreak? Evacuate family and animals to a safe area, and if so, where? Release the animals? Make your yard “fire smart.” Have fire extinguishers, tools and water available to fight any small fires in the yard. Make sure everyone who lives and works there knows what to do if a fire threatens. Identify a source of water to be used as emergency supply by firefighters. Follow the instructions of municipality, first responders and firefighters in an emergency.